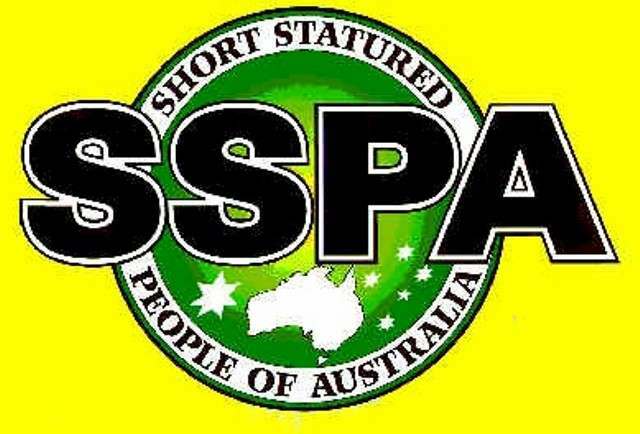 The Short Statured People of Australia Inc. (SSPA) is a not for profit group, made up of volunteers who strive for equality. We thank you for being part of our Association. SSPA Membership begins on the 1st of July each year and expires on the 31st of June the following year. - Interested members of the community in Australia and overseas. - All issues of the National SSPA Journal (either print or electronic version) per year. - Travel subsidies for short-statured people to attend the annual National Conventions (when funds are available). - Discounts on National Convention registration fees. - Access to the SSPA Library. - Access to the Careers and Vocational Guidance Fund: assistance may be given at the discretion of the trustees to assist people of short stature with their education, career or personal circumstances. - Opportunities to access the expertise of medical professionals on the SSPA Professional Advisory Board. - Opportunities to attend Short Stature symposiums. - Opportunities to participate in competitive sporting opportunities with those of a similar stature.